Home » Tin tức » Màng lọc không khí HEPA là gì? Is A HEPA Filter Really Necessary? Should you choose a HEPA filter over other alternatives? At first glance there may seem to be added expense in your initial purchase. You may feel that replacement filters will expensive and cumbersome. With so many air cleaners promising to be “silent” or have “no messy, expensive filters” you might feel that HEPA filter air purifiers are a second rate option. Is the marketing of well-heeled consumer product companies really doing justice to this mainstay of air purification? I feel that many people are being misled by the disinformation of irresponsible marketing campaigns. That is one of the reasons for building this site. Multiple chemical sensitivity, allergy and asthma are problems I am personally familiar with. So finding effective air purification systems has been a priority in my life for the last fourteen years. Ultimately I came to the conclusion that a HEPA air filtration system is the best solution available. I believe that you too will benefit from a HEPA air cleaner. To explain why let’s start with the most basic questions you should ask when deciding on an air purifier. What will the air cleaner remove from your home air? What will it not? What is the efficiency rating of the air cleaner? How effective is the technology it uses to clean the air? Will the air purifier clean the air in a room as large as you need? How many air changes per hour will it provide in that size room? How easy or difficult is it to change or clean the filter? How often is this maintenance necessary? How much do filters cost? Are they readily available? How much noise does the filtration system make? Is it quiet enough to run while you sleep? With these questions in mind, how effectively does HEPA air filtration give the results you’ll be most satisfied with? What will a HEPA filter remove from your home air? What will it not? 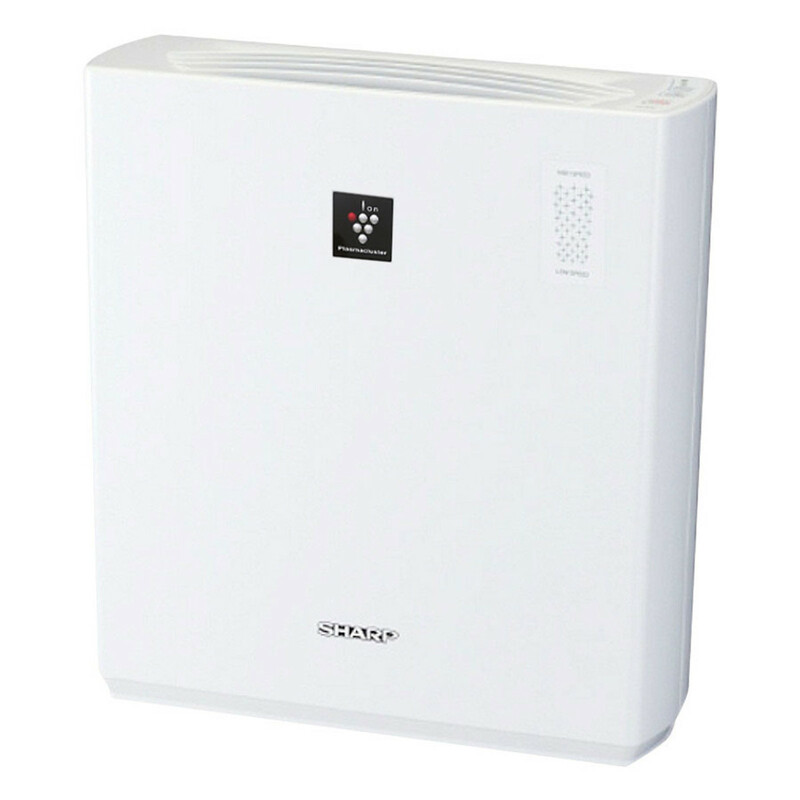 HEPA filters trap allergy-causing particles like pollen, pet dander and dust mites. They also capture irritant particles like tobacco smoke. Usually some form of prefilter is used to trap larger dust particles that would prematurely clog the higher efficiency HEPA filter placed after it. HEPA filters will not remove chemicals and odors. This is why they are often combined with activated carbon filters. Of course, all filtering systems likewise claim to remove such particles. They likewise need to be supplemented in some way to remove odors and chemicals. The real advantage of HEPA air filtration is seen in its overall effectiveness versus these other air cleaners. What is the efficiency rating of HEPA? How effective is the technology versus other air cleaning systems? Only HEPA air filtration meets a standard recognized by government and industry. To receive the HEPA designation it must remove 99.97% of all particles as small as 0.3 micron in size. While other filter media remove some particles at that size their efficiency varies and is often no greater than 50%. Even much larger particles like pollen may not be fully removed. The problem with non-HEPA filters is you have no way of knowing how effective they are. Ion generators do not remove particles at all. Their method is to fill the air with charged particles that tend to attract other particles. These stick together and presumably settle out of the air more quickly. Some charged particles will stick to the walls and furnishings. This has been called the “black wall effect”. The EPA has expressed concern that these uncollected charged particles may even deposit within the lungs of exposed persons. Ionic air cleaners that use collector plates are called electrostatic precipitators. Their efficiency at particle collection tends to be no greater than 80%, much less than HEPA air filtration. Studies have shown that the collection efficiency can be reduced to as little as 20% in as few as three days due to particle loading of the collector plates. Some people claim that ozone generators clean the air by destroying the contaminants. Scientific studies have shown this to clearly not be the case. Ozone can react with pollutants but the partial breakdown byproducts that result can be more numerous and more dangerous than the original pollutants. Ozone generators’ efficiency at removing contaminants is essentially zero. If you really want the most effective air cleaning available then HEPA air filtration is your best choice. HEPA air filtration is the most effective means to clean large volumes of air rapidly. 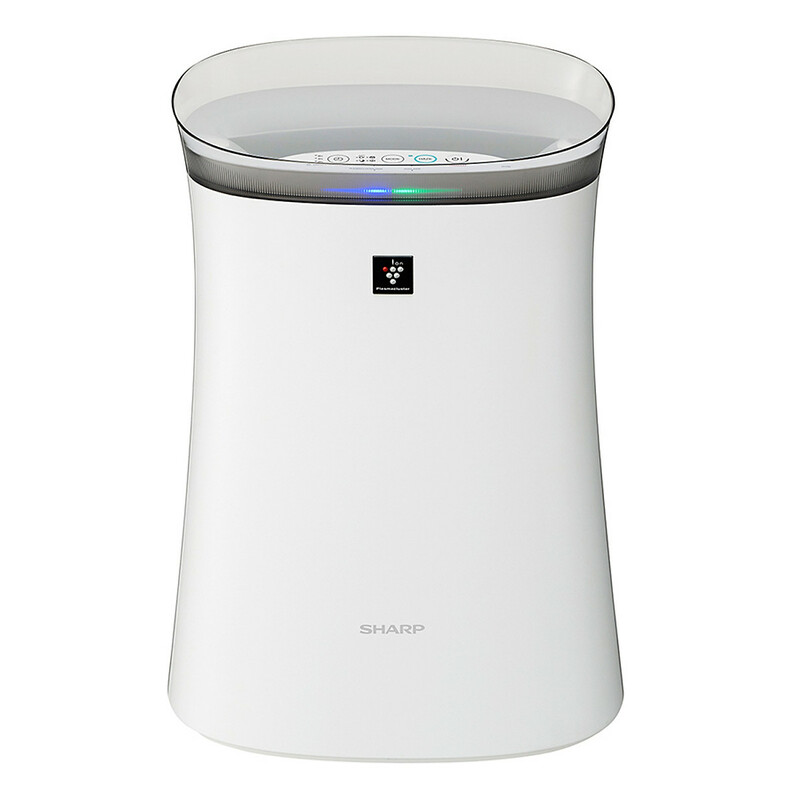 Of course, these air purifiers come in a wide variety of sizes allowing you to choose according to your needs. Some Allerair air cleaners reportedly cover areas as large as 1800 sq. ft. However, that is at a reduced number of air changes per hour. Even so, the total capacity of these fan forced air cleaners is always far greater than other systems. In ionic air cleaners that use no fan the speed of ionized air being pulled through the unit is quite low. This means a very much-reduced ability to clean large volumes of air. Where ionic air cleaners have an added fan the air speed has to be kept low also. This is because a fast moving air stream would not permit the charged particles to be deflected onto the collector plates. Again, you don’t get the ability to clean large volumes of air quickly. How easy or difficult is it to change or clean the filter? How often is this maintenance necessary? How much do filters cost? Are they readily available? One of the greatest scams in the air purifier market among non-HEPA air cleaners is to sell a cheap air purifier and then bilk the customer later with pricey regular filter changes. Sometimes the filters are hard to come by, either the store selling the air cleaner doesn’t carry the filters or is chronically out of stock. The actual cost of a replacement HEPA filter may seem high compared to a non-HEPA filter. However, consider that replacement may be once every two, five, even eight years in the case of the Allerair AirMedic. This means the annual cost to have clean air is low by comparison. With ionic air cleaners you avoid the cost of replacement filters but cannot avoid the necessity of constant maintenance cleaning of the collection system. Many owners have complained at how difficult it is to properly clean closely spaced collector assemblies. A collector grid that isn’t cleaned regularly doesn’t clean the air and can develop a residue on the plates that will not come off. This permanently reduces its ability to clean. HEPA air filters are very easy to change. Manufacturers have made certain tools are never required and most can be completely replaced in less than five minutes. All things considered, HEPA air filtration is simple, easy, low maintenance and low in long term cost while offering the best air cleaning possible. HEPA air filtration tends to be the noisiest because of the fan forcing air through the system. However, high quality HEPA air purifier manufacturers recognize this and do their best to keep noise levels as low as possible. All offer low speed settings that are quiet enough to sleep without disturbance. If you choose the right size air purifier it will be able to give sufficient air changes per hour at a lower speed setting. This keeps noise low and gives you additional cleaning capacity at a higher setting in the event it is needed, like after a cooking mishap. Ionic air cleaners may have an edge in the “silence is golden” department, but this comes at the expense of performance. I encourage you to put greater value on air cleaning performance and choose HEPA air filtration. If you would like to consider air purifiers from companies that keep your needs in mind and offer truly effective and reliable air purification IQAir, Allerair, Austin Air and BlueAir are among the best. If you worked in a military or government procurement office the term True HEPA filter would have no meaning. Nor would it mean anything if you were contracting a HEPA filter supplier for industry. Only in air purifier marketing will you see the term hyped as if it were the all-important gold standard. This is not necessarily a bad thing. Air purifier companies have one very good reason for it – Shady competitors with inferior products dishonestly associate themselves with the HEPA efficiency standard. The term true HEPA is entirely a marketing term. In industry, government and military applications a filter is either HEPA or it isn’t. However, there are different specifications for defining HEPA. The usual standard for measuring air cleaner efficiency health or cleanroom purposes is the MIL-STD-282 Method 102.9.1 Dioctylphthalate test (D.O.P test) which requires the filter to capture 99.97% of 0.3 micron particles. So a True HEPA filter has the proven efficiency of 99.97% at 0.3 microns by this test. The European Standard EN1822-1 defines a HEPA filter as ranging from 85% to 99.995% efficient against a 0.3-micron challenge. However, there are specific filtration grades given to each filter spanning that range. This allows an end user to know exactly what they are purchasing. In many respects, it is a better way of expressing air filter efficiencies. A True HEPA filter’s D.O.P.-rated efficiency is it’s minimum starting efficiency. The actual operating efficiency is higher than that, for all particle sizes from 0.001 micron upwards. The starting efficiency of any non-HEPA air cleaner is very much lower – anywhere from 5% to 60% by the D.O.P. test. True HEPA filters are far more efficient for air cleaning than other types of filtration systems. Filter systems like electronic air cleaners’ aluminum plates or 3M Filtrete media depend on electrostatic charges to attract dust to its plates or fibers. As the plates or fibers load up with dust, their ability to attract more dust drops dramatically. 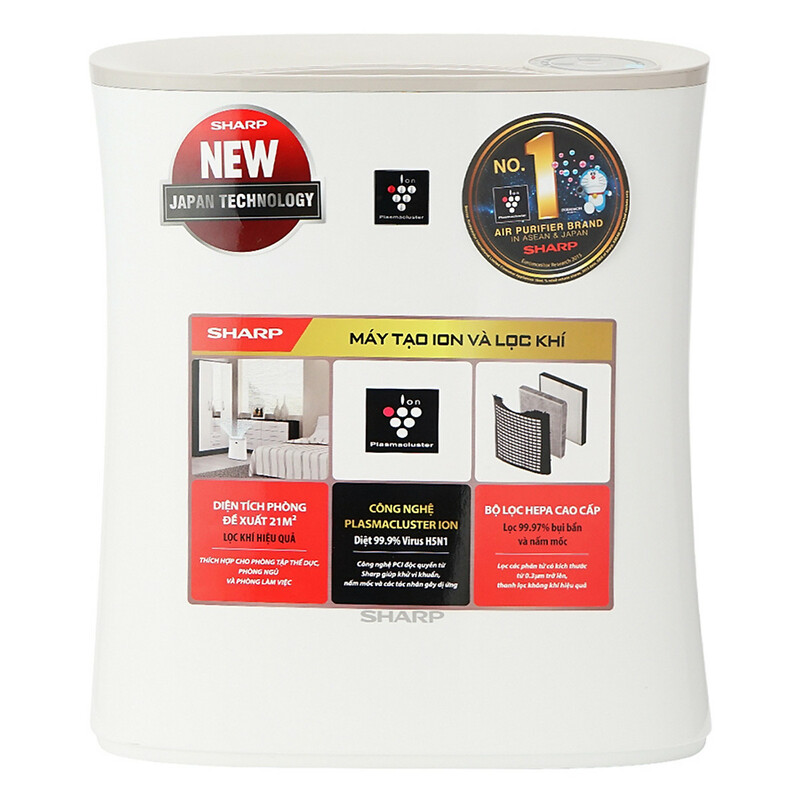 An electronic air cleaner or 3M Filtrete-based air cleaner’s starting efficiency is usually the maximum efficiency. With use the efficiency will drop very fast and the average operating efficiency is much lower. Some published studies have shown that an electronic air cleaner’s efficiency can drop to one-fifth of its starting efficiency within 26 hours of operation. That, plus the fact that most electronic filters are not very efficient at .3 microns and even worse for particles less than .3 microns, makes a strong case against electronic filter types. True HEPA filtration is used for nuclear contamination, lead and asbestos abatement, surgical facilities, tuberculosis wards (the CDC guidelines for tuberculosis transmission recommend only HEPA filters be used), clean rooms, computer rooms and other areas where clean and particle free air is essential. True HEPA filtration is currently the only type of air purification recommended by the U.S. Government’s Department of Homeland Security and FEMA. Contrary to the claims of misleading air cleaner ads, bacteria and viruses do not breed in true HEPA filters. HEPA filters provide a dry environment and without moisture there is nothing to keep bacteria alive, much less breed. These trapped contaminants eventually die from lack of moisture. This is why only true HEPA filters are used where health is critical as in hospital operating rooms and ICU wards. Bacteria can breed within the filter only if the air coming into the filter is moist. If such is the case, methods for killing bacteria within a HEPA filter include antimicrobial treatment of the media or a germicidal ultraviolet light. Though it may only be a marketing term, it is born of the necessity to counteract the efforts of many impersonators. 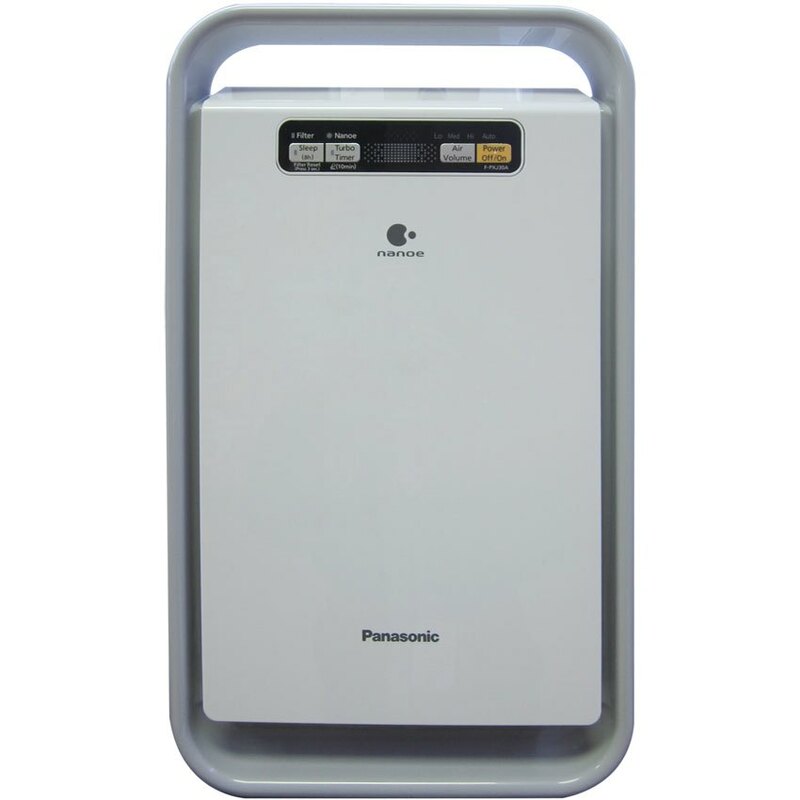 There are many air cleaners claiming to have HEPA type filters. These air cleaners have no specified performance rating, so you have no way of knowing how good it is. In many cases a high efficiency furnace filter with a MERV 13 rating would be as good as these much more expensive air cleaners. My own personal conviction is that buying a HEPA filter air purifier is the best choice I can make.